After a two year course James Wilson qualified from Glasgow Veterinary School in 1877. He bought a pre-existing veterinary practice in Barker Street, Nantwich, where he lived with his sister, a 16 year old domestic help and a 16 year old groom. The work was predominantly horse work, as farms depended on the cart horse, and the area also had an abundance of pleasure horses. Pet work was virtually non-existent. A branch practice was opened in Audlem and the transport between the two practices and on visits was horse and gig (type of trap). Telephones were uncommon and so clients would turn up in the middle of the night for calvings. James Wilson owned approximately 100 horses at a time with which he used to supply the territorial army with remounts to go on camps. A forge was attached to the practice across the road in Barker Street. Thomas Wilson, James’ son qualified from Edinburgh Veterinary School in 1907. He joined the practice, which was then known as James Wilson & Son. Tom Wilson modernized the practice by using a motorbike to do visits. James Wilson died in 1919 at the age of 60. It wasn’t until 1930 that the practice employed Charlie Stuart, the first veterinary assistant, to help Tom Wilson. Charlie left in 1936 to join the Ministry, at which time Jimmy McWilliam and Bobby O’Neill joined as newly qualified assistants from Edinburgh Veterinary School. After three years Jimmy went into partnership with Tom Wilson and Bobby O’Neill moved to Malpas. The practice was then known as Wilson & McWilliam. When, in the early 1940’s Tom Wilson went into semi-retirement and only did horse work, another assistant, John Walker, an Irishman was taken on. Brian Wilson joined the practice in 1947 after being an assistant in Loughborough for one year. The vets would work a one-in-three on call rota for weekends but there wasn’t a rota for night calls. Whichever vet was available would be called out during the week. Night work began to become much more common, especially with farmers sitting up with calving cows during the night. During the 1940’s the practice took on the first member of office staff, Miss Griffiths, who was the receptionist/telephonist. Before this the resident vet’s wife would answer the phone. In 1946 newly qualified vets found it difficult to get veterinary work and they had to take other work. Tuberculosis eradication and Ministry of Agriculture work brought money into veterinary practices and was responsible for the increase in veterinary work. TB testing was well paid and most rural practices began to rely on farm work. Dairy farming became prosperous at this time and with the interest in cattle breeding came an improvement in stock quality and production. Dairy shorthorns were common and Friesians were introduced after the war. Jimmy McWilliam was a pioneer in developing pregnancy diagnosis in cattle. He was a member of the Survey Committee during the war and he demonstrated rectal pregnancy diagnosis, the principles of which are still in use today, although arm length gloves are used now. Jimmy McWilliam was passionate about greyhounds and after the war he had up to 35 dogs in training at any one time. He became secretary of Altcar coursing club and a nominator for the Waterloo Cup. Local farmers would walk Jimmy’s greyhounds and they weren’t charged for their veterinary work. He had been a house surgeon at Edinburgh Veterinary School and so he was also experienced in small animal (pet) work. At this time dogs would be taken to Nantwich cottage hospital if they needed an x-ray. In the 1950’s a cat castration cost 3 shillings and sixpence. During the 1967 foot and mouth outbreak Brian Wilson worked full time at the Crewe foot and mouth centre for 3 months for which he was paid £9 per day. The practice would have been very quiet without this work. Brian has lived through 5 foot and mouth outbreaks in the practice. In 1973 Mike Guilliard joined as the practice’s 7th vet. Although he did farm work in the mornings he took on the majority of the small animal work and he would see owners with their pets during afternoon and evening surgeries. Operations were performed on a Wednesday afternoon. This side of the practice grew steadily and soon operations were performed everyday. With Jimmy McWilliam’s guidance Mikes interest in racing greyhounds was stimulated, and some of the original clients still come to see Mike with their greyhounds. In 1980 a branch surgery was opened in Beech Street in Crewe and Mike and Colin ran this in the early years. The building used was previously a bank and this became a very busy surgery. Originally only the outbuildings formed the practice at 29 Barker Street and a vet lived in the house, but gradually as the practice grew in size, rooms began to be used in the house until eventually the whole house was taken over. Extensions were added in the cobblestone yard. The boilerhouse was demolished and an indoor equine x-ray area was established. 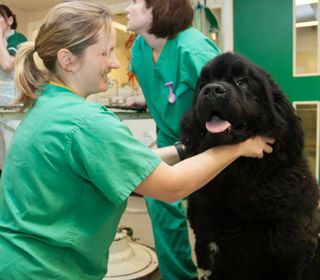 Brian Wilson retired from active veterinary work in the practice in 1990. 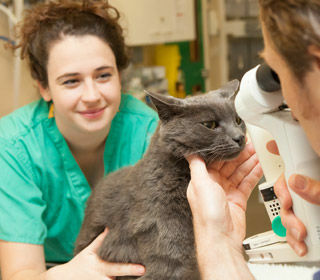 The first fully small animal vet assistant was taken on in 1993. Another branch surgery was opened in Maer Lane in Market Drayton in 1992. In 1996 the second small animal assistant vet was taken on and and then for the first time the practice was divided into farm animal, small animal and equine departments with each vet specializing in one of the three areas. This has allowed each of us to dedicate our time to a particular area of expertise. In 1995 a “Millar’s garage” was purchased in Nantwich for the site of the new veterinary hospital. Over the next three years plans were drawn up, the hospital was built and it opened in 1998. 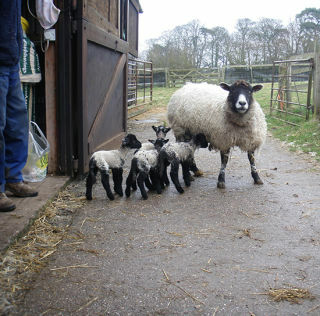 At this time there were three full time small animal vets and this grew to nine by 2006. 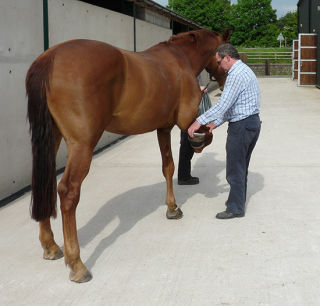 Also in 1995 Nantwich Veterinary Group opened Home Farm Equine Clinic at Reaseheath. One of the old dairy units underwent major alterations to house the equine clinic. By 2007 the Equine department had begun to outgrow Home Farm and in 2009 a brand new purpose built Equine hospital was opened at Hurleston on the A51 just north of Nantwich. Also in 2007 more space was needed at Nantwich Veterinary Hospital and extensive alterations and an extension increased the number of consultation rooms from the original four, to eight, and a new feline unit was opened on the first floor. In 2008 we closed our Maer Lane surgery in Market Drayton and moved to a new purpose built surgery on Burnside Business Park. Further growth sawour Beech Street surgery in Crewe close in 2011 and we moved to another purpose built Veterinary Hospital on Macon Way. 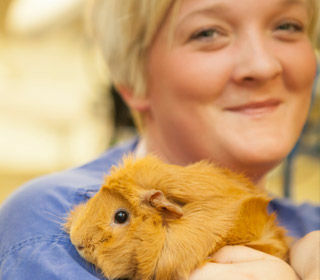 Today the practice now comprises 34 vets and many more support staff on 4 separate sites.